Porsche CEO Michael Macht brought in former Toyota engineers to the sports car maker over the complaints of German managers. BERLIN (Bloomberg) -- Porsche AG Chief Executive Officer Michael Macht is the favored candidate to succeed Jochem Heizmann as production chief at Volkswagen AG, according to two people familiar with the matter. Macht, 49, is Volkswagen CEO Martin Winterkorn's choice to replace Heizmann because of his decade-long experience in running production at Porsche before he was named to head the sports-car maker a year ago, said the people, who asked not to be identified because the discussions are confidential. A final decision hasn't been made, they said. Matthias Mueller, VW's chief product strategist, is the frontrunner to succeed Macht as Porsche CEO, the people said. Expanding the line-up of luxury cars is the company's top priority to reach a target of doubling deliveries to 150,000 vehicles in the medium term. Volkswagen and Porsche are in talks to carve out future model strategy and share platforms as they seek to complete a merger next year. Porsche SE, the sports-car maker's holding company, reported a nine-month loss of about 700 million euros ($868 million) on Friday because of costs related to the VW merger. 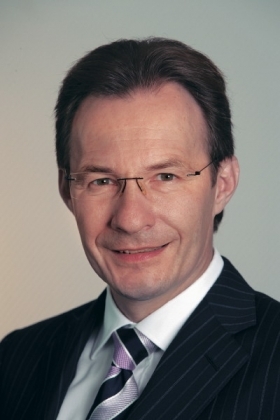 Volkswagen spokesman Stefan Ohletz declined to comment, as did Porsche's Albrecht Bamler. Macht joined Porsche in 1990 from a research institute where he focused on helping German companies reorganize. In 1993, he was chosen to run a program set up to optimize production by more closely linking suppliers to the process, according to one of Porsche's Web sites. A year later, he began running a new subsidiary, Porsche Consulting, which focused on bringing production methods used by Toyota Motor Corp. to Porsche. Macht told the Detroit Free Press in 1999 that he brought in former Toyota engineers to Porsche's main factory, who helped him reshuffle the operations over the complaints of the factory's German managers. By the mid-1990s Porsche was profitable again and Macht was rewarded for his role with a promotion to production chief in 1998, where he remained until he became CEO last July. Heizmann, a member of VW's executive board since February 2007, will quit to take on a new role tightening cooperation between truckmakers Scania AB and MAN SE, two people familiar with the matter said in April. Other possible management changes now being discussed at Volkswagen involve Porsche's development chief, Wolfgang Duerheimer, who might be replaced by Wolfgang Hatz, head of engine development at Volkswagen, one of the people said. VW, Europe's biggest carmaker, aims to overtake Toyota as the world's largest automaker and bought a 19.9 percent stake in Suzuki Motor Corp. in January.